© Shannon Cram. All rights reserved. 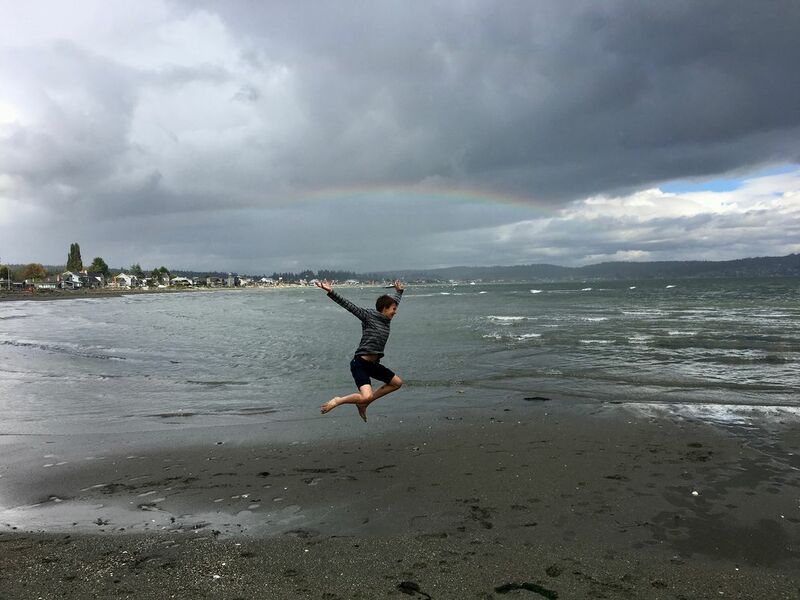 This is my nephew jumping for joy on Double Bluff Beach, Whidbey Island, Washington. It had been a stormy afternoon--we were bundled up against the wind and rain--when the sun broke through the clouds and made a rainbow. It was cause for celebration! Date Uploaded: Oct. 3, 2018, 6:46 p.m.